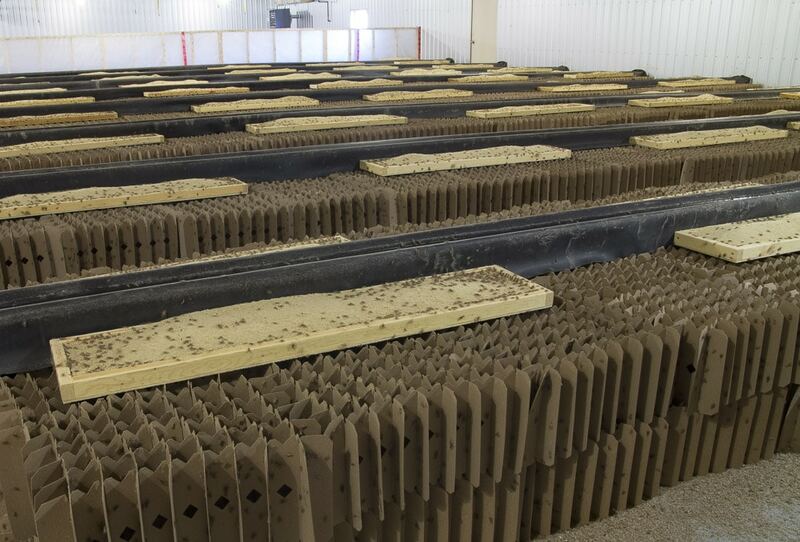 We are often asked how we farm our crickets. I have had people chuckle and ask me if we harvest them in the wild. Once I tell them that we have a cricket farm, I’m sure the images that pop into their minds seem ludicrous and laughable. We decided that we would do a blog series on a few of the questions that we are asked the most by people who are intrigued by this ‘new’ ingredient. This is the first in the series: How We Farm Our Crickets. Read part two, From Our Farm to Your Table, here! Rolling hills, a light breeze, and the harmony of the birds follow you as you approach Entomo Farms headquarters in Norwood, Ontario. 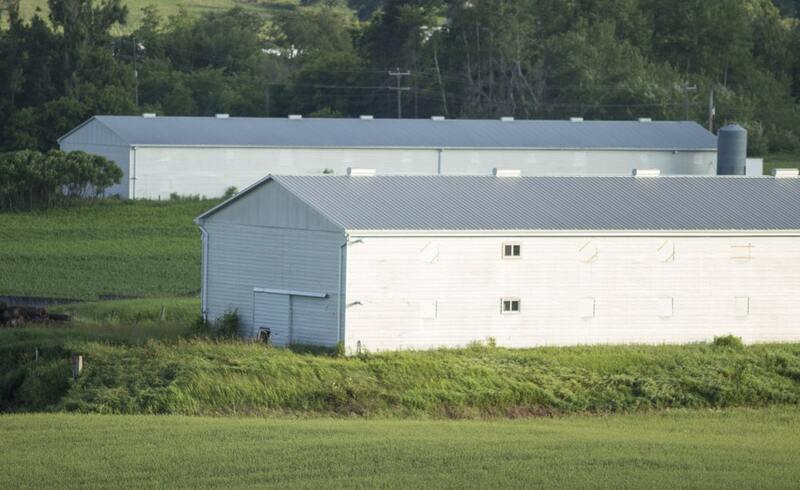 The 60,000 square foot barn itself is a renovated old abandoned chicken barn. 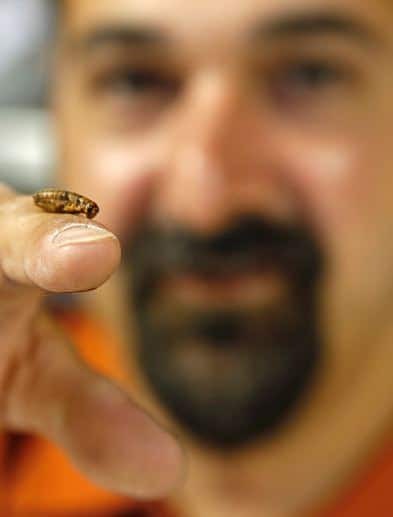 Darren Goldin, one of the three co-founders is almost always on site, making sure that all the millions of crickets that inhabit the barn are well taken care of and are getting what they need. At this point in time, at any given time, there are approximately 100 million crickets in the barn, ranging in stages of maturation–from egg to mature adult ready for harvest. Darren has figured out how to ensure that the cycles move seamlessly in order to meet the constant demand for the whole-roasted crickets or the cricket powder. If you Google ‘Cricket Farming’, you will see many images of hundreds of crickets in hundreds of large plastic bins. In order to feed the crickets, each bin would have to be retrieved, opened, tended to, then replaced. The cricket farmers would continue in this vein until all the crickets in all the bins had been cared for. Darren, as Vice President of Farming Operations, knew there must be a better, kinder, more efficient way to care for the crickets, and developed what he calls the Cricket Condos. Crickets are naturally a swarming species, and like being in a dark, warm place. The condos allow the crickets to live in a way as close as possible to how they would live in the natural world. They are free to hop from feed station to feed station, and can burrow deep into the condos if they so choose until it is harvesting time, which comes near the end of their natural life cycle. 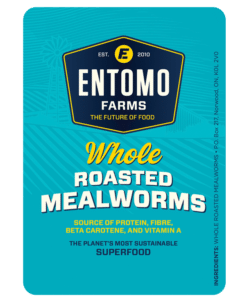 As deep-rooted environmentalists, it was very important to all members of the Entomo Farms team that the crickets be treated as humanely as possible for their short time here on Earth. Crickets only live about 6 weeks. The chirping sound you hear from crickets on a warm summer’s night, come only from mature crickets who have come to the end of their lives. 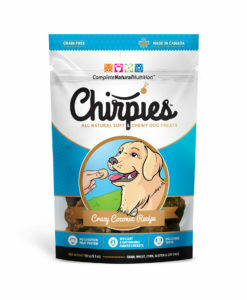 Harvesting the crickets only occurs at the end of their life cycle. 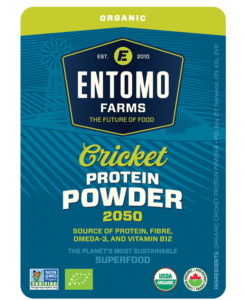 The important things to remember about farming crickets and Entomo Farms, is that our crickets are free range, and they are harvested only at the end of their life cycle. This was part one in a blog series about being inside the headquarters of Entomo Farms. Stay tuned for part two in the series! This entry was posted in Blog and tagged cricket farm, cricket flour, cricket powder, eat bugs, eat crickets, eat insects, edible bugs, edible insects, Entomophagy, farm crickets, farming crickets, future of food.